Fishermen on Grand Manan have reached an agreement with the Department of Fisheries and Oceans that could head off a complete shutdown of the lobster fishing in some areas where North Atlantic right whales are sighted. The deal will see the Grand Manan Fishermen's Association introduce a series of measures to reduce the amount of rope in the water. "I think it was a huge step forward," said Melanie Sonnenberg, program manager for the group. "So it's a little bit of flexibility but recognizing there would probably come a point where we would be looking at closures too." Sonnenberg said this is the first such agreement has been reached with DFO. 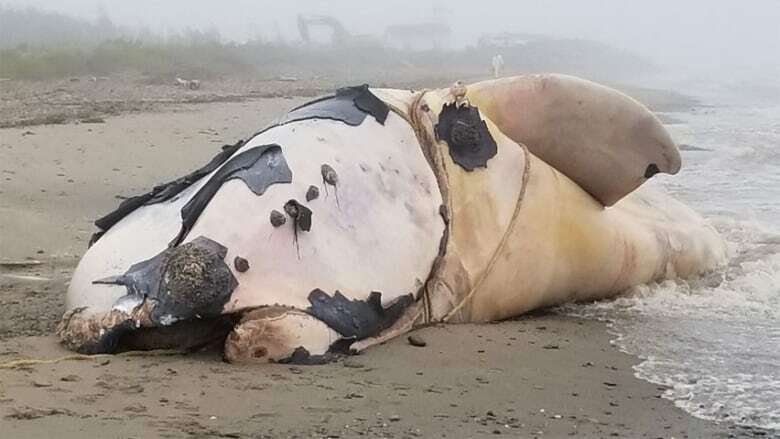 Among the measures, fishermen from the island have agreed to cut off the trailing buoy on each line, or trawl, of traps as soon as possible when a whale is reported. They will also replace 120 feet of the trailing line with smaller, 3/8ths-inch rope that will break away if a whale is entangled. "We've been dealing with whales for a long time and fishing and coexisting with them for decades," said Sonnenberg. "But given the attention globally, worldwide we know that we're going to have to do more and some of these measures are ways for fishermen to do that." A spokesperson for Fisheries and Oceans Canada said the Bay of Fundy makes an appropriate location to test interim right whale management measures because the animals are less likely to be present during the lobster season there. 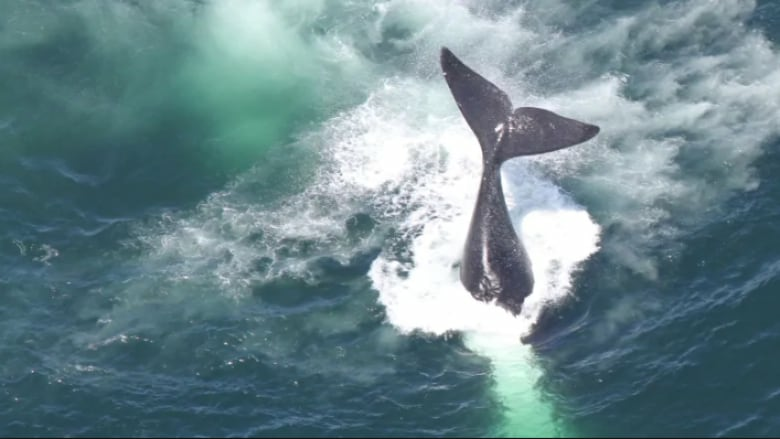 "These measures were based on the best science information available about the presence of right whales in our waters," said Jocelyn Lubczuk. "Ongoing consultation in summer and fall 2018 will allow industry to provide feedback on these management measures, and help us balance the economic well-being of fishing communities with the requirement to reduce entanglement risk." The fall lobster season on the Bay of Fundy begins Nov. 13. 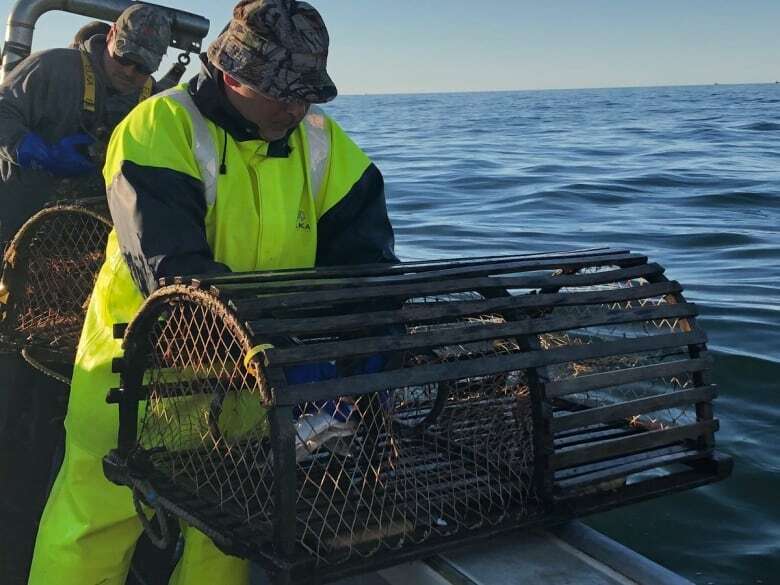 The Grand Manan association is also participating in a DFO trial involving what's known as acoustic release gear where there are no buoys or rope on the surface of the water. The buoy is instead held on the sea floor and released to float to the surface when a signal is issued from the fishing boat overhead. The deep waters and strong currents off Grand Manan will be a true test of the technology, which is already being used successfully in New Zealand.